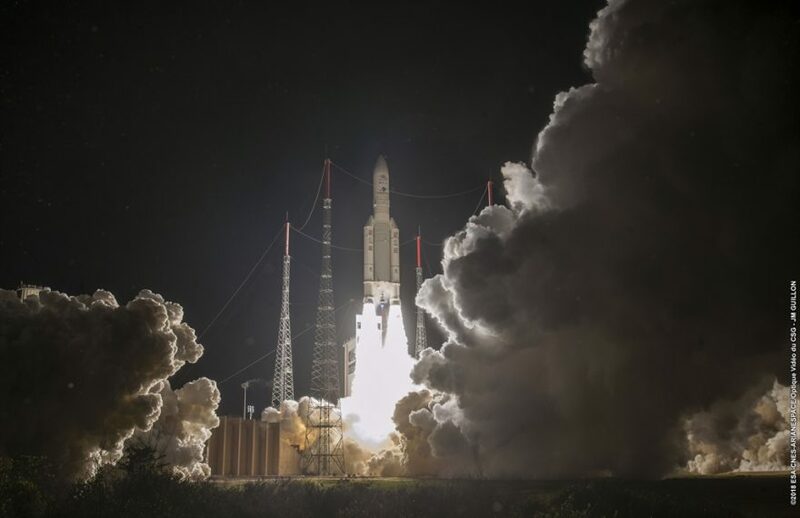 BepiColombo was launched on October 20th(JST)! BepiColombo is JAXA (Japan Aerospace Exploration Agency) and ESA (European Space Agency) cooperative Mercury exploration mission. Simultaneous Launch of MMO (Mercury Magnetospheric Orbiter) and MPO (Mercury Planetary Orbiter) was conducted. Ichiro Yoshikawa and Kazuo Yoshioka (Graduate School of Frontier Sciences) developed Mercury Sodium Atmospheric Spectral Imager “MSASI” installed in MMO. They also developed detectors for the Mercury outer space ultraviolet spectroscopic observation machine “PHEBUS” mounted on the MPO. Click here(JAXA site) for details.